GeneaWebinars: Let's play WHO'S IN MY LINE Saturday! There WILL be prizes! - JOIN DearMYRTLE and Cousin Russ for *GENEALOGY GAME NIGHT* tomorrow, 11 July 2015. We're playing "WHO'S IN MY LINE?" designed to spotlight our ancestors. He or she doesn't have to be famous. Try to get the panel to guess his/her occupation, location, place in history or ??? Genealogical Proof Standard (paperback) by Christine Rose. You are automatically entered to win IF you post comments before or during the hangout. 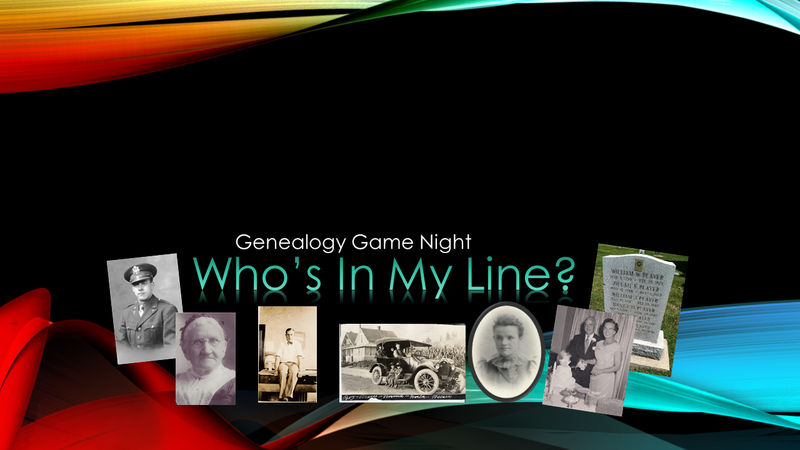 Your name is entered TWICE if you also appear on the panel to play the game by sharing an ancestor spotlight with the members of the panel. The decisions of the judges are final For the 2nd and 3rd prizes, you must have a US delivery address.